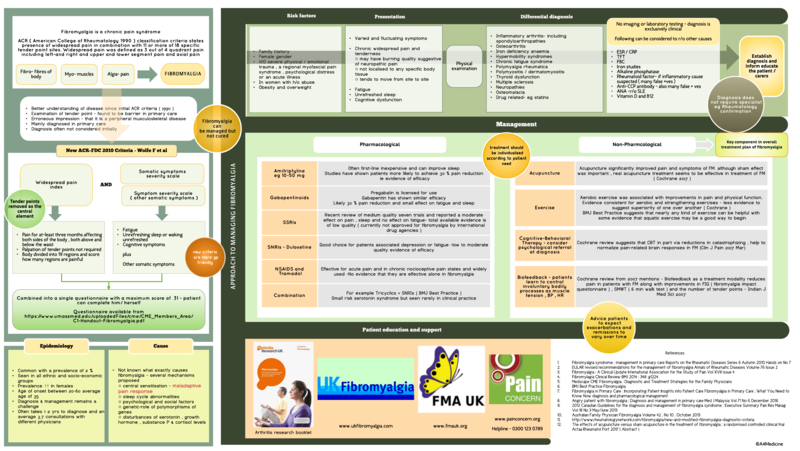 Review of Fibromyalgia on A4Medicine. presence of widespread pain in combination with 11 or more of 18 specific tender point sites. Widespread pain was defined as 3 out of 4 quadrant pain including left-and right and upper and lower segment pain and axial pain.